Choosing an Internet Service Provider (ISP) is not easy. There are all sorts of things to consider, from contract length to download speed, and there are many different internet providers to choose from – all of them offering a wide range of broadband deals and internet plans at very variable prices. Plus don’t forget about this “fibre broadband” or “fibre internet” that you hear every day from TV. Broadband Compare are here to clear up the confusion. We carry out a comprehensive evaluation of the different broadband plans offered by all the major NZ internet providers. We will help you make sure you are not locked into a long broadband contract you are not happy with. Below you will find our helpful step-by-step guide for choosing the best broadband provider for your needs. In addition to that, we list our top picks of the NZ broadband providers in 2019, serving to every budget and need. When it comes to broadband, your location makes a big difference. If you are after a standard internet connection for checking emails and going to YouTube at a slow speed then ADSL or VDSL is for you. They both run over your phone line (copper wire), and the speeds you can get will depend on how far your home is from the local exchange, so-called cabinet. Much faster fibre connections (UFB) may or may not be available at your address, depending on whether the necessary cabling has been installed in your area. We have access to the Chorus database and you can check your availability on Broadband Compare. Just enter your address and check which services and speeds you can expect to receive there. Do this before you start shopping or you may be disappointed. Some internet providers offer no-contract plans, but ISPs are trying to push new customers towards 12-month or even two-year deals. That might be fine if you are satisfied with the service, but if you want to move to a faster or cheaper broadband provider, you could spend a long time waiting. From our point of view, a 12-month contract looks like a reasonable agreement between you and internet provider but we would not recommend to sign up for a longer deal unless you entirely trust their service or the deal they offer is impossible to resist. All internet providers will bill you on a month-to-month basis, but if you are comparing different plans, it is smart to calculate how much you are going to pay in total over the course of the contract – including the upfront installation fee and the price of a router if you are buying one. If you are shopping around for a new broadband provider, it is a good idea to review prices on a regular basis, as the NZ broadband market is getting highly competitive and deals frequently come along that can completely change the cost of the certain deal. You can sign up for our newsletter or follow us in social media to get important news and amazing broadband offers. The speed you should go for totally depends on your answer to the question: “Why do I need an internet connection”. If your main purpose of getting broadband is to stay in touch with your distant relatives through email, check news and a bit of social media, then ADSL or VDSL connection with the speed 10-50Mbps should be enough for you. If you are into streaming and every new episode of Game of Thrones or Breaking Bad must be watched online, then fibre broadband is a “must have” for you. Prefer playing online games with your mates or have a big family of YouTube streamers and gamers – go for so-called Gigantic Fibre with the speed up to 950Mbps. One last bit of good news is that data caps and speed throttling are almost extinct, so you do not have to worry about using your monthly data allowance or having your speed reduced at peak times. What else do I need to look out for? Most internet providers also might offer landline, mobile or power service. If these are of interest, you can save money by bundling your broadband with one of the services. A final point of differentiation between broadband providers is the quality of the router that's provided with your service. Some, such as Stuff Fibre and MyRepublic, offer good-quality, high-speed hardware with an option of an upgrade. 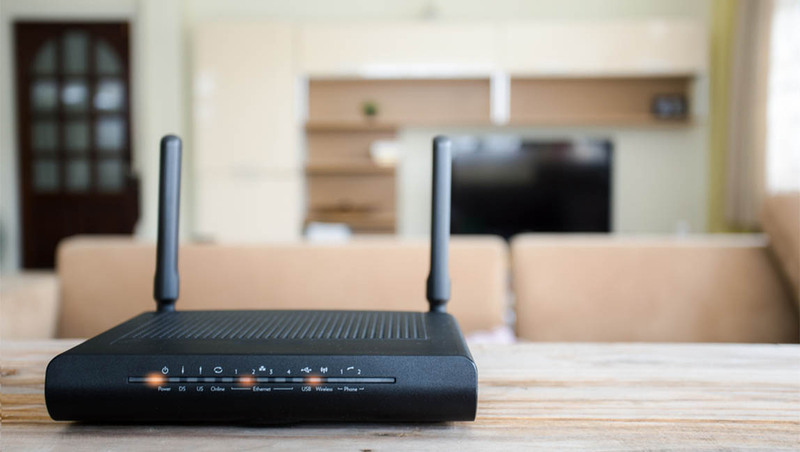 Others offer basic options: they will do the job, but if you have a big house or you are after better Wi-Fi speeds we would suggest using your own third-party router instead. MyRepublic are best known for their fibre broadband but they also offer some VDSL plans. As well as the usual fibre connections, they were one of the first who started providing ultrafast “Fibre Gig” services in certain areas, at speeds up to 950Mbps. Whichever plan you go for, the prices are competitive, and although the standard contract term is 12 months, you can easily get a no-contract option at a slightly higher price. MyRepublic have a good customer service record, their average review rating on our website is 5.5 which is higher than average. The well-featured standard MyRepublic Hub router is another plus point. New MyRepublic customers can easily upgrade the standard router to a high-end model at a reasonable price. Stuff Fibre does things its own way: you don't have to have a long commitment, you can sign up for just 12 months – or even go for a month-to-month contract. Stuff Fibre do not have a wide range of internet services – they only do fibre. They believe in simplicity rather than complex packages, plans and bundles. However, prices are very reasonable and their standard router is capable of gigabit speed. It is no wonder that Stuff Fibre’s customer review score 7.5 is much higher than the average. Orcon do not offer a huge range of broadband packages – they only do unlimited plans but their speed options will suit most needs. Pricing, in general, is attractive and, at the time of writing, Orcon’s deals include an unbeatable price on unlimited ADSL/VDSL/fibre – with three months FREE of charge. You do, however, have to sign up for 12 months. Still, across the industry, Orcon ranks above the average with 5.6 points from their customer reviews. Slingshot is the NZ's fourth biggest ISP so it's perhaps no surprise that their broadband plans are rock-solid. They offer a full range of plans starting from capped ADSL plans with no extras and ending with unlimited “Gigantic” fibre plans with family filter, mobile plan and power service bundled together. Slingshot’s prices are on the low side compared to other major ISPs, plus you can get a lot of extras if you go for one of the high-end packages. Contact Energy big thing is the bundle. Its ADSL/VDSL/fibre packages bundled with their power and/or gas can go down to an astonishing $59.99/mth. Moreover, you are not going to be locked in a contract. In addition, they supply a free router which makes their deal one of the best in the market. The other advantage of getting Contact bundled plan is that in addition to a great internet price you will get an 18% prompt payment discount on your power and 2% more from the Duel Fuel (Power and Gas) discount.